Manchester United lost more ground in the Premier League after being forced to a 2-2 draw away at Southampton. The Reds’ defence was torn apart by Southampton early in the first half, before United rallied back to equalise twice. Their two regular starters, Chris Smalling and Victor Lindelof, missed the tie through injuries. Therefore, Jose handed Phil Jones and midfielder Scott McTominay the role to lead the defence, and the duo looked far from convincing. 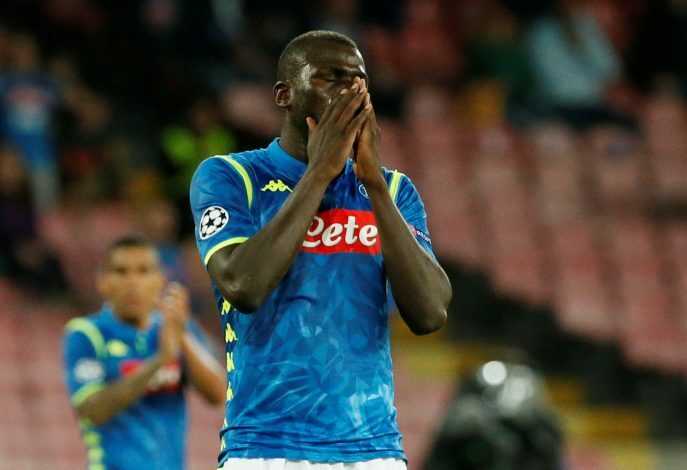 While the Mancunians continue to lack a star player in the defensive line, Napoli’s Kalidou Koulibaly has been consistently linked with a move to Old Trafford. Post the 2-2 draw, the links with the Senegal international were addressed by the interviewers, but Jose Mourinho refused to dwell on speculations. “I cannot answer to your question. If is true, if is not true, I cannot answer to your question,” said Jose. Earlier, Italian newspaper Corriere della Sera had claimed that Napoli had rejected a €107 million offer from the Mancunian club for the 27-year-old. He has been one of the prime transfer targets for the 20-time English champions, and it remains to be seen whether United manage to get him in January by submitting a substantial bid.